Company | System development company in Tachikawa, Tokyo. 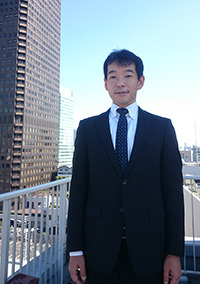 CONPHIC Co., Ltd.
I’m Daichi SAITO, a President of CONPHIC Co., LTD.
CONPHIC is a newborn company established in October, 2014. I majored in the science and engineering when I was in a university and got a first job as sales position because I wanted to meet a lot of people. After having experienced this job for some years, I moved to another job in 1997, when the Internet became common for ordinary home. I made text files from printed paper stored in government and companies and I converted these text files to mark-up electronic data like HTML, SGML and XML. In 2000, under the rapid progress of IT due to “e-Japan concept” by Japanese government, I engaged in development of systems to promote the efficiency of performance at work with Web and PC. In addition, through the experience in providing Japanese IT technology to other countries as a technical assistance, I realized information systems are common base not only within Japan but also for the countries around the world. In these days, “ICT” derived from “IT” draws attention, and the importance of communication is increasingly clarified in the business of information communication. Many people encounter a lot of information in their daily life using PCs, smartphones and tablets. Therefore, a lot of information-processing technologies are developed and we have too many systems around the world. To provide easy access to your necessary information. To promote further efficiency of performance at work and utilization of data. To develop bussiness solution for the existing information systems and create new technologies. To contribute to the benefit of the society with our technologies. CONPHIC Co., Ltd. will try our best to live up to your expectations.